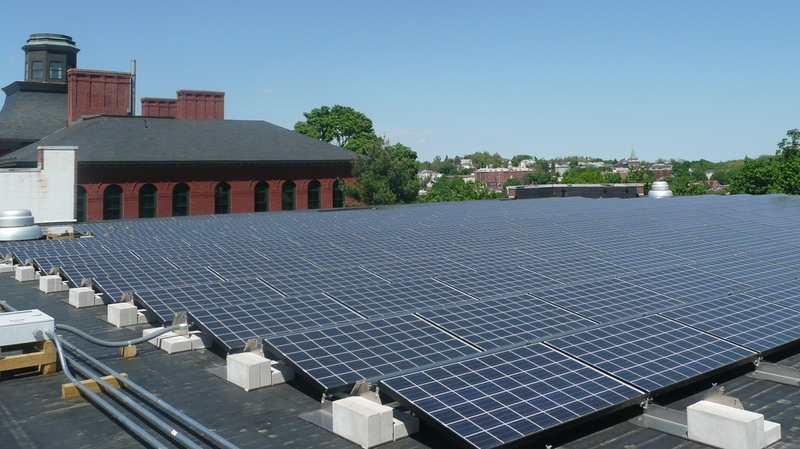 In 2010, we designed and constructed this 92-kilowatt photovoltaic system on three dormitory rooftops at Worcester Academy. The system provides the school with clean energy at predictable costs over the long term while achieving its sustainability commitments. The system also plays an important role in the curriculum, providing students with a firsthand view of the advantages of solar power.Through its strategic partnership with Nexamp and the Commonwealth of Massachusetts, Worcester Academy helped the state achieve its goal of installing 250 megawatts of solar capacity statewide four years early. Worcester Academy’s primary benefits are fixed costs for 6% of our electricity over a 20-year span, getting to use the solar panels as an enormous curriculum pieces as part of our sustainability commitment.